The foggy haze floating atop the water is thick tonight, a thin layer of cover, just the way I like it. Sun will be coming up any time now, so I have to finish hunting soon. That new albino gator who showed up last week has really been hogging my territory. Wait, there it is, what I’ve been looking for all night, just standing there waiting. Tourists always make for a fine feast when the hunger is strong. Link up your own HUNGER story here. Gators creep me out like no other! @Angie Thank you :) Me either...not so much for the bugs or animals that could eat me. Those eyes peaking just above the waterline - yikes. 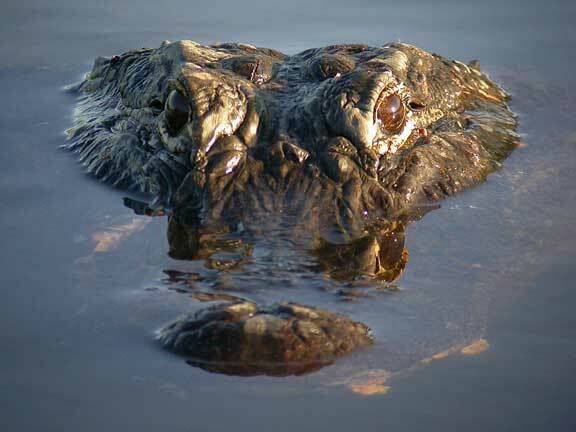 In your sentences you can feel the alligator moving steadily along looking for (human) food. Really liked this! Ha! I love this!! Great twist on the word and beautiful details on setting the scene! This is great!! Love the detail! Book Giveaway on my blog….THE WICKED WIVES. Stop by and complete the entry form if you like.